Do you believe in luck or what! This is unbelievable really. I mean so many people buy lotto tickets, but only the lucky ones hit the mega jackpot! I’m not sure what these lucky ones do for a living or what they have for breakfast before they purchase the winning ticket, but all in all, it’s amazing. 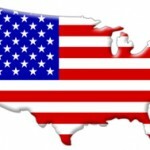 Now here’s the story of new millionaires Larry and Connie Miller, a newly rich, very rich couple from Noblesville, Indiana. 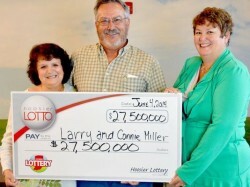 It has been reported that very lucky Larry and Connie claimed a whopping amount of $27.5 million early this month at Hoosier Lottery headquarters in Indianapolis after winning the Hoosier Lotto jackpot. The amount collected is known to be the seventh highest jackpot in the history of Hoosier Lotto. The big fat check along with the gigantic amount of $27.5 million was presented to the Millers, who were present with their attorney and accountant, by Sarah Taylor – Executive Director for Hoosier Lottery. Will $27.5 million change the way the Millers see the world? We’re yet to find out, but according to them, despite their newfound wealth, they will not change who they are. They all say that, don’t they? The moment they leave the limelight, they come home with Bentleys, packers and movers – to shift to 6,000 acre mansion and flight tickets to exotic locations! Will the millers prove us wrong? Well, we hope for their sake, they will be happy, excuse me, happiest and that the money will last for their generations! How would you feel after winning that big of an amount?! The Millers were thrilled, excited and shocked – a blend only a winner can understand. 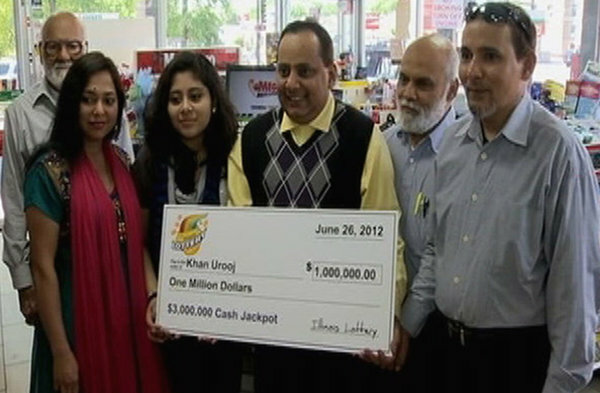 Upon winning the Hoosier Lotto jackpot, the Millers were quoted saying that they were humbled, surprised and excited. 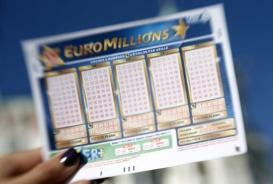 They were a little bit overwhelmed because the shock and thrill of winning such a fortune was extremely exciting and it’s something that they had never imagined. This, of course, is the first time they win, but according to the Millers, they led an abundantly blessed life even before winning the Hoosier Lotto jackpot. Wonder why the lady luck picked them if they were already so blessed? Or maybe that’s why she picked them… hmm… Anyhow, they openly stated that they will not change who they are or how they lead their lives. The winnings that they took home will be used to provide them with more opportunities to continue to fulfil their obligations and commitments that have always been part and parcel of their lives. Larry had purchased the winning Hoosier Lotto jackpot ticket with the numbers 9-16-34-37-45-46 from the Marsh Supermarket at 208 Southway Blvd. E. in Kokomo. The numbers were drawn on the 10th of May 2014, giving the Millers a sure-way ticket to the Hoosier Lotto jackpot for an eye-popping $27.5 million! According to the Hoosier Lottery officials, the winners had two options; a 30-year annuity where they would receive about $916,000 annually before taxes or a cash option of a lump sum of $11.1 million before taxes. The Millers decided to go with the cash option. In order for the fortune to last lifetimes, the Millers have decided to work closely with their financial and legal advisors and plan to spend the rest of their golden years enjoying life that they have been blessed with. Hoosier Lottery started in 1989 where more than 100 players have claimed Hoosier lotto jackpots. 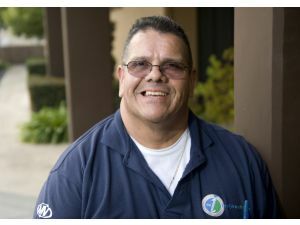 The biggest Hoosier lotto jackpot was awarded in November 2007 to a retired East Chicago steelworker Peter Gilbert for a jaw-dropping…wait for it…$54.5 million! That’s $54.5 million!! 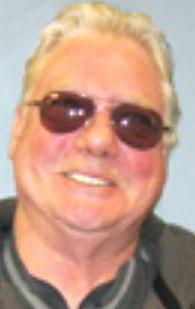 He chose the cash option and took home $40.4 million before taxes! The total amount of Hoosier Lottery prizes paid to players from 1989 to 30th of April 2014 has amounted to a solid $9.2 billion! A total of $4.3 billion has been transferred to the State of Indiana and approximately $3 billion has been funded to the Build Indiana Fund. While the Teachers’ Retirement Fund has received $705.1 million from the Hoosier Lottery, retailers have received commissions and bonuses worth $1 billion! With a ticket cost of $1 per play, Hoosier Lotto drawings are held every Wednesday and Saturday nights! If you haven’t started playing the Hoosier Lottery, don’t wait any longer! It’s tough to beat the odds, but you never know when you get lucky. 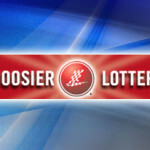 Grab your Hoosier lotto jackpot tickets and who knows, you might be the next lucky winner!